Astronaut Col. Mark Vande Hei (U.S. Army, Retired) shakes hands with students in the audience Thursday, May 3, before speaking during 'NASA Day in Baton Rouge' at the LSU's Laboratory School. Current astronauts Vande Hei and Joseph Acaba, members of the Expedition 53/54 crew and recently returned from the International Space Station in February 2018, spoke to students in an assembly, and staff from the Michoud Assembly Facility in New Orleans were also part of the program. The day recognizes NASA's partnerships with the state of Louisiana and celebrates the state's workforce that supports them, including at Michoud, where critical core stage and other elements for the Space Launch System and Orion crew vehicle are being built.In the rotunda at the State Capitol, informational NASA exhibits were also on display Thursday. Louisiana doesn’t always come to mind when people think of America’s space legacy the same way that Texas and Florida do, but the most critical part of the road to space on NASA’s historic exploration programs has come through the Michoud Assembly Facility in southeast Louisiana for much of the past 50 years. When we think of the truly iconic moments in space, most were a result of the rockets built in Louisiana by NASA and its industry partners. So this week, as NASA Administrator Jim Bridenstine visits the Bayou State, he will see that NASA’s Michoud facility is America’s rocket factory and produces NASA’s greatest space exploration systems. From the Apollo program’s Saturn V, to the space shuttle, and now America’s next great deep space rocket, the Space Launch System (SLS), Michoud is where the vital parts of these rockets come together. Since its early days, Michoud has been a key driver for cutting-edge deep space exploration in America. The Saturn V rockets built at Michoud powered the Apollo spacecraft Neil Armstrong and Buzz Aldrin took to the Moon in 1969. To this day, the Saturn V rocket built in our backyard is the largest, most powerful rocket ever launched. When the Apollo program ended, Michoud shifted to production of the space shuttle’s large external tank, which fueled all of the shuttle missions from 1981 until its retirement in 2011. These shuttle missions demonstrated the first and most fully reusable space system in history and delivered all of the key U.S. segments to build the International Space Station, where NASA astronauts have had a continuous presence since 2000. When the shuttle program ended, this world-class rocket factory was all too quiet. But that all changed when NASA and Boeing, the industry partner on the core stage of the Space Launch System, began work at Michoud, and hundreds of employees and contractors living in communities like Slidell began assembling the first two SLS rockets that will launch in 2020 and 2022 to return astronauts back to the Moon. In the final configuration, the SLS will eclipse the Saturn V as the largest, most powerful rocket to ever launch. NASA astronauts will fly aboard the Orion space capsule, which is also being partly assembled at Michoud. The SLS program has restored Michoud’s critical role in building America’s most powerful rockets and restoring U.S. leadership in deep space to transport astronauts further than ever before. Additionally, the SLS program is supporting hundreds of NASA, Boeing and supplier jobs at Michoud and other supplier companies across the state that are contributing critical manufacturing and components for this rocket. While much attention has been on Elon Musk, who builds less powerful rockets in California, and other celebrity billionaires seeking to launch into space, Michoud workers are diligently working to build the future of American deep space travel. NASA understands that it is critical to have a thriving industrial base for space launch across all 50 states, which is why SLS and Orion have suppliers across the country. With at least one SLS launch anticipated each year to deep space, Michoud will have a strong and bright future with this important NASA program. And with each launch, we can be proud that Louisiana built the rockets that are returning astronauts to the Moon for the first time since the end of the Apollo program in 1972. Louisiana might not get the same fame as Houston or Florida’s Kennedy Space Center when it comes to American space travel, but the next time Americans step foot on the moon and the first time we set foot on Mars, it will be because our neighbors working at Michoud got them there. Cameron Henry represents District 82 in the Louisiana House of Representatives. 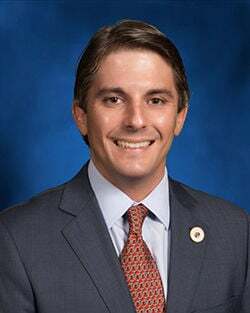 Greg Cromer is the mayor of Slidell.